If the Samsung Galaxy S10 is too rich for your blood then there are now some alternative options from the company, as Samsung has just taken to the stage to announce new entries in its A range, including the Samsung Galaxy A80 and Samsung Galaxy A70. 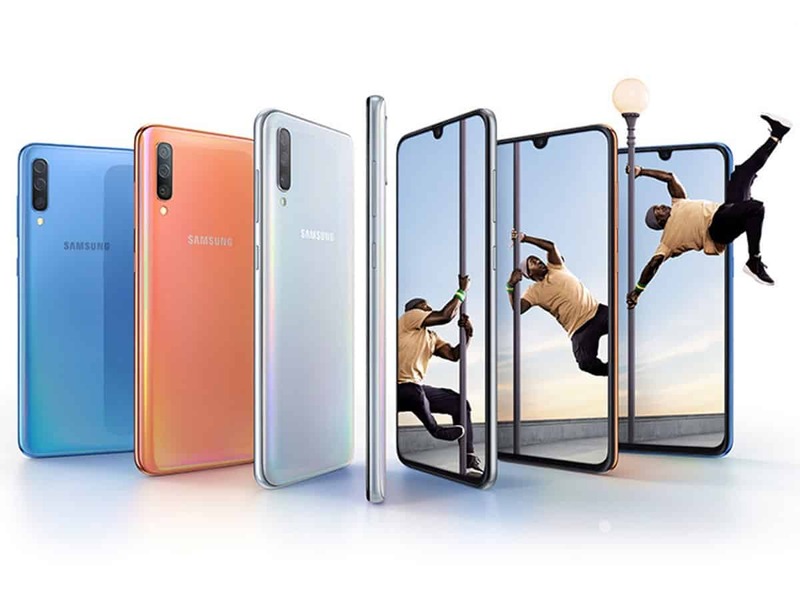 The Samsung Galaxy A80 (pictured above) looks to be the most exciting, as it packs a rotating pop-up triple-lens camera, allowing for an all-screen design and the ability to use the same cameras for selfies as you do for everything else. And when we say all-screen, we mean it – there’s no notch and no punch-hole, though there are still some very slim bezels of course. The camera includes a 3D depth sensor and an ultra-wide 173-degree 8MP f/2.2 one alongside its main 48MP f/2.0 lens. The Galaxy A80 also has a fingerprint scanner built into its 6.7-inch 1080 x 2400 Super AMOLED screen, and an intelligent battery, designed to adapt power output based on your usage to maximize life. The phone has a 3,700mAh battery, 8GB of RAM and 128GB of storage. It’s set to land on May 29, though there’s no word on pricing yet. One rung below that there’s the Samsung Galaxy A70, a phone that we actually already know lots about, as Samsung first announced it back in March, it just didn’t say how much the phone would cost or when and where you’d be able to buy it. This handset has a 6.7-inch 1080 x 2400 Super AMOLED screen with an in-screen fingerprint scanner, while on the back there are three cameras – a 32MP f/1.7 main one, an 8MP f/2.2 ultra-wide one and a 5MP f/2.2 depth sensor. Unlike the A80 however these don’t rotate, and there’s a notch at the top of its screen, which almost feels old-fashioned in the face of the A80. It also comes with a 32MP camera on the front, a massive 4,500mAh battery, 6GB of RAM, 128GB of storage, an octa-core chipset and a microSD card slot. Not high-end then, but not far off. You’ll be able to buy it from April 26 and it’s landing in black, blue, white and coral shades. The company is also talking about the Samsung Galaxy A50, but as with the A70 this isn’t actually ‘new’. In fact, we went hands on with it back in February. It has a 6.4-inch 1080 x 2340 Super AMOLED screen, a triple-lens camera (with a 25MP lens, an 8MP one and a 5MP one), a 4,000mAh battery, an octa-core Exynos 9610 chipset, 4GB or 6GB of RAM and 64GB or 128GB of storage. The A50 costs £309 (around $400 / AU$565). Towards the bottom of the range there’s the Samsung Galaxy A40, though this is at least properly new. It and the Galaxy A20e, Galaxy A10 and Galaxy A30 are set to replace the Galaxy J range, which is being merged with the A range. The Samsung Galaxy A40 has a 5.9-inch 1080 x 2340 Super AMOLED screen, 16MP and 5MP cameras on the back, a 25MP front-facing camera, an octa-core chipset, 4GB of RAM, 64GB of storage, and a 3,100mAh battery. It’s set to be available in black, blue, coral and white, though a release date and price are yet to be confirmed.